Paul Kadri, a 16-year public school administrator, has been on the forefront of education reform in order to help schools improve student achievement. 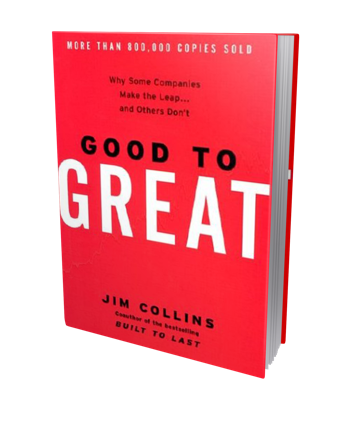 In this interview, Paul Kadri shares how the research presented by Jim Collins in his book Good to Great was instrumental in his successes. Presentation Solutions: When did you first become aware of the book Good to Great? Paul Kadri: I actually don’t know. It feels like it’s been part of my thinking for so long, that I don’t remember a time when it was not there. Collins also wrote a supplement specifically for the social sector. Presentation Solutions: Can you give an overview about the premise of the book before we dive into the details? Paul Kadri: Sure. Collins and his team looked at businesses from various industries and identified those that stood out from their peers, having moved from a good position to one that he identifies as great. He then looked at these companies to see what common qualities they had that allowed them to make that shift. Presentation Solutions: Were there many aspects that helped those companies achieve greatness? Paul Kadri: Collins highlights many significant components that his research team found. One of them—leadership—was a component they originally assumed would not be included but later showed clear evidence of having impacted the organization. What was unusual was the type of leadership found in great organizations. Presentation Solutions: Before we get to a discussion on leadership, is there one aspect of the book that you think is most important? Paul Kadri: The first line in his book is by far the most important. He states, “Good is the enemy of great.” This is an amazingly powerful statement. Most people believe that you become great by improving good. That is a trap. Very often, the skills that allow an organization to be good have limits that keep it from being great. If an organization truly wishes to be great, it needs to consider starting from scratch and developing skills whose processes won’t have those same limits. Presentation Solutions: Very interesting. So now, tell us how leadership plays a role in great companies? Paul Kadri: Many assumed that the charismatic and boisterous leader would be the ideal candidate for bringing greatness to an organization. Collins found that not to be true. While many are outstanding leaders who have achieved great success, in terms of running a great organization that sustains greatness, the leadership quality is quite different. Said simply, it is a modest person who is interested in knowing “the brutal facts,” is singularly driven for organizational (not personal) success, and makes sure that all decisions are correct and in line with the mission of the organization. Presentation Solutions: That seems pretty obvious, don’t you think? Paul Kadri: It does, but you would be amazed how many times decisions are made not to promote the mission, but to please an individual, remove a bad situation, or otherwise. Presentation Solutions: What is another part of the book that resonated with you? Paul Kadri: Collins talks about putting the right people “on the bus” and in the “right seats.” This means hiring the right people and putting them in positions where their strengths are maximized. In a separate interview, Collins spoke about education. He suggested that one gets tenure after one proves they are exceptional, not as a result of not doing something wrong. Presentation Solutions: Have you tried this concept? Paul Kadri: Yes. We significantly increased the rigor of our hiring process and placed extra emphasis on supporting new teachers. Even the best teachers need support from experienced staff and administrators when they first start. Presentation Solutions: If someone were to work for you, would reading this book give him or her insight as to how you operate? Paul Kadri: It is funny you should mention that, because it is true. I purchased the book for all administrators in the district so that they could understand the concepts and frameworks. This gives them great insight as to how I lead the organization. The Board of Education also adopted this framework. Presentation Solutions: Do you think you operate as the leader defined in Good to Great? 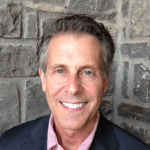 Paul Kadri: The top leader, called Level V, is a modest person who is hungry for knowing the real facts and is singularly committed to the success of the organization. In all three of these areas I am absolutely aligned. There is one component that I’m not sure about. I’m a very emotional person. One gets the feeling that the Level V leader is a more stoic character. Presentation Solutions: Do you think you’ll ever be stoic? Paul Kadri: I’m not sure about that. I show my emotions and I don’t even know I’m doing it. It doesn’t make me a great poker player. Presentation Solutions: To conclude, is there anything notable that Collins points out about the public sector? Paul Kadri: Yes, he states that the power structure is very different in the public sector. For example, teachers with tenure have more power than employees in a business. As such, the leader could face more resistance. This requires that the leader have skills to make the right decision even in the face of resistance. He is very clear that he is not talking about consensus, but about educating and building relationships to assist in making the right decisions. He goes on to say that this is a skill that would benefit business leaders. Paul Kadri was last superintendent in the Groton public schools in Connecticut. He is widely known for his success in improving student achievement while maintaining fiscal restraints. Often called a change agent, Paul Kadri is first and foremost unwaveringly committed to the success of his students. For more information about Paul Kadri, visit his website at paulkadri.com. David Contarino Explains Key Staff and Services at Southwestern Title & Escrow Inc. Though he sold the company in 2009, David Contarino is still proud that Southwestern Title & Escrow redefined what service means in the real estate industry. Southwestern Title & Escrow (ST&E) was founded in 1994 and opened in 1995 recalls David Contarino. Along with wife Linda Marquette Contarino, the couple opened the doors with just eight employees and the intent to help people insure their dreams through a local and reliable source. David Contarino explains that ST&E offers real estate customers title insurance and escrow resources. As a locally owned company, David Contarino says there are numerous benefits to working with ST&E, including the company’s strong link to local commerce. Included in the company’s lineup of local partnerships are the Santa Fe Association of Realtors, the New Mexico Land Title Association, and the Santa Fe Area Home Builder Association. David Contarino notes that ST&E is also active in the Santa Fe Chamber of Commerce. David Contarino and Linda Marquette Contarino sold the company in 2009 to Santa Fe native John Fox, a veteran real estate attorney. Fox has been a figure in the Santa Fe legal community since 1978. He is a second-generation law professional, explains David Contarino, and worked alongside his father, Robert Fox, until the mid-1990s. Today, ST&E continues the mission that inspired David Contarino and Linda Marquette Contarino to open this now very successful title company. According to David Contarino, the title and exam department is managed by Mike Thompson. Thompson is an industry pioneer with more than 20 years of experience, reports David Contarino. With nearly 40 years performing title searches, Senior Examiner Fred Barela is a stickler for quality. Senior Policy Preparer Joyce Arellano has diligently served the industry for more than two decades, says David Contarino. Lead Escrow Officer Kay Jones has stayed one step ahead of the ever changing title and escrow environment since the 1980s. David Contarino emphasizes that Jones provides each and every client with the greatest protection available, while always keeping budget concerns in the forefront of her mind. David Contarino says that Jones is a great member of ST&E’s team of escrow officers, which includes Cassandra Vigil-Mondragon, Maria Salazar and Carla Pogemiller. David Contarino reveals that Pogemiller is something of an industry leader, with more than 30 years of experience. She has received several awards including affiliate of the year from the Santa Fe Association of REALTORS®. David Contarino explains that, as a title and escrow company, ST&E is given the important task of making sure the real estate transaction is protected. According to David Contarino, the company discovers, identifies and remedies potential conflicts to eliminate title hazards that may interfere with the intended purchasers’ home-ownership rights. David Contarino emphasizes that a successful closing always begins with a complete and accurate title search. Essentially, the title company is ensuring the homeowner that they have performed a diligent search and there are no issues at signing. David Contarino explains that the search may include divorce records, sales history, deeds and mortgages, and previous court judgments, liens and delinquent taxes. David Contarino remains an avid supporter of Southwestern Title and Escrow. He is active in the real estate community and owns several commercial and residential properties throughout the Santa Fe area. David Contarino is also a political consultant with nearly 30 years of experience in both politics and real estate. Matt Schilit is a longtime school administrator, having served as a teacher, assistant principal and principal. In his current position with the Allendale County School District in South Carolina, Matt Schilit supervises all data, evaluation and testing. Since testing is an integral part of a school’s funding, it is important for school systems to find leaders such at Matt Schilit with extensive experience in the classroom environment. Here Matt Schilit discusses CATE, the Career and Technology Education initiative mandated by the South Carolina Department of Education. Presentation Solutions: Matt Schilit, what is CATE? Matt Schilit: According to the Department of Education website, “the mission of the Office of Career and Technology Education is to provide leadership and services to districts and schools supporting grade-level, standards-based curricula through the integration of academic and career and technical instruction for students in grades seven through twelve.” It is grounded in a desire to prepare students for 21st century technology careers as well as give them a broad-based education. Presentation Solutions: Matt Schilit, what changes does this bring to a school district? Matt Schilit: In addition to traditional academic subjects, schools must offer courses in engineering, auto mechanics, graphic design, cosmetology, horticulture, health science, welding, culinary arts and more. Presentation Solutions: Matt Schilit, how does this affect an average high school? Matt Schilit: In times past, many school districts had vocational/technical high schools where some students would choose to leave the main school and pursue career-oriented education. Now, all high schools should be integrating this kind of practical instruction into their programs. Every district truly needs to meet the needs of all of their students by offering opportunities for students to have first-hand experiences in a variety of career-related courses and programs. Presentation Solutions: Matt Schilit, is there any help for students in choosing which path to take? Matt Schilit: Yes. State-approved career and technology assessments measure a student’s technical skill achievement once they complete four or more units in a CATE program. The identified assessments meet federal accountability statutory requirements and are designed to provide instructional and career guidance. Matt Schilit holds a bachelor’s degree in Physical Education and a master’s degree in Educational Administration from the University of South Carolina. Matt Schilit is also an amateur competitive bodybuilder. As Chief Executive Officer of Oregon-based Bonaventure Senior Living, Kelley D. Hamilton says his mission is to expand the company’s generosity. In order to accomplish this goal, Kelley D. Hamilton encourages staff members and residents alike to support local charities. Recently Kelley D. Hamilton spearheaded the “Bonaventure and You” program, an opportunity to give back to local charities. Kelley D. Hamilton describes the effort in the following Q&A. Q: Kelley D. Hamilton, when did the “Bonaventure and You” start? Kelley D. Hamilton: We kicked it off last November, in 2012. I would like to expand the program, though. Q: How does “Bonaventure and You” work? Kelley D. Hamilton: We designed the program so that any new resident in a Bonaventure community could select a charity of their choice to receive a $1,000 donation in their name paid for by Bonaventure. Q: That’s a great idea! Kelley D. Hamilton: Yes, and there’s more. If a current resident has referred the new resident, we will donate an additional $500 gift in the current resident’s name. Q: Were the Bonaventure communities themselves involved? Kelley D. Hamilton: Yes, the Bonaventure communities gave their residents the option of choosing six more local charities, for $250 gifts each along with an award ceremony honoring those who do so much for their local communities. Q: How were the donors recognized? Kelley D. Hamilton: We invited the general public to a “Heroes of Hope” celebration in each community, thanking both donors and charities. Q: Were you pleased with the results of the effort? Kelley D. Hamilton: We set up a total of 286 gifts to 236 charities. That’s in addition to the home office’s gift of over $70,000. Q: What was the territory involved? How much was the total amount raised? Kelley D. Hamilton: Our communities are located in Montana, Washington, Oregon, Colorado, Nevada and Idaho. The total giving was well over $150,000! Q: What prompted you to initiate the “Bonaventure and You” program? Kelley D. Hamilton: It’s simple; we care about the same things our residents care about. We want to be able to help not just our residents, but everyone in the local community. Q: What are some examples of the charities your residents have selected? Kelley D. Hamilton: Organizations like the Alzheimer’s Network, National Multiple Sclerosis Society, Oregon Paralyzed Veterans, St. Jude Children’s Research Hospital, Doernbecher Children’s Hospital, the VFW and the Humane Society. Q: How can people find out more about this program? Kelley D. Hamilton: They can visit their local Bonaventure community, or go to BonaventureAndYou.com for details. Kelley D. Hamilton: Yes. I’d just like to say that it’s really worth it to experience the satisfaction people get from contributing to causes and organizations they believe in, be it their local church or a national charitable organization. We understand how difficult it is to make those decisions in a tight economy, and it’s gratifying for us to be able to help. Kelley D. Hamilton attended Portland State University. After earning his degree in Finance and Business Administration, Kelley D. Hamilton co-founded Kline Hamilton Realty Advisors. It was during his time at Kline Hamilton that Kelley D. Hamilton found his calling in senior living. Kelley D. Hamilton came on board with Bonaventure in 2000, when it was still known as Mountain West Retirement. Today, Kelley D. Hamilton presides over a company that manages 37 flexible retirement communities across several states in the western and northwestern U.S. Always sensitive to the needs of residents, Kelley D. Hamilton has instituted feedback forms and town hall meetings at Bonaventure communities which has lead to Bonaventure’s stellar 96% resident satisfaction rate. The human body was meant for action and motion. That’s something that applies across all age groups, as the staff at Casa Sandoval knows. The Casa Sandoval community serves the needs of both active retirees and senior adults requiring assisted living. Located in Hayward, California, Casa Sandoval puts an emphasis on active and independent lifestyles for its residents. The Casa Sandoval community features more than 200 apartment units in studio, 1-bedroom and 2-bedroom configurations. Exercise can help boost energy levels, help mental acuity, boost metabolism and relieve stress. Today, Information Nation visited with the professionals at Casa Sandoval to discuss the benefits of exercise for seniors. The conversation may surprise you. Q: My 70-year-old father tells me that he’s recently felt compromised as far as mobility and flexibility. How much of a challenge can that be if he wants to start an exercise program? Casa Sandoval: Even senior adults who have mobility problems can get exercise in ten-minute segments. Q: Does taking up an exercise program mean a risk of injury for seniors? Casa Sandoval: That’s a common misconception. It’s the lack of exercise that’s at the root of many age-related problems. Q: It’s pretty well known that exercise helps mental acuity; how does it combat dementia? Casa Sandoval: The increased blood flow from exercise means a better oxygen supply to the whole body, including the brain. Exercise can help everyone, including people with dementia. Q: Are there health benefits from exercise for diabetics? Casa Sandoval: Yes, absolutely. Exercise is part of the strategy for controlling diabetes, and can help slow or stop the progression of that and many other diseases. We see it often with the residents at Casa Sandoval. Q: Isn’t there an age cutoff for exercise? Casa Sandoval: No, that’s also a misconception. Casa Sandoval residents include seniors of all ages and physical condition who participate in exercise programs…even wheelchair-bound residents. Q: What are the effects of aging on the body? How can exercise help? Casa Sandoval: Muscle mass, flexibility and endurance all dwindle past age 50. All of those trends can be slowed with regular exercise, though. Q: It’s just wear and tear, isn’t it? Casa Sandoval: Yes, if you think of the human body like a machine, the years definitely take their toll in terms of wear and tear. It reaches a point where common chores like driving, shopping, or even getting dressed can be a real trial for senior citizens. Q: What are the elements of exercise that you believe are the most important for seniors? Q: Balance is especially important, isn’t it? Casa Sandoval: Yes, it sure is. Problems with balance result in falls, a leading cause of injuries for seniors. Q: What kind of exercise activities do you suggest? Casa Sandoval: Really, it can be about anything…dancing, arts and crafts, gardening, walking, or a more rigorous workout with resistance or weights. Yoga is a big favorite and has been shown to have measurable results. Q: What kinds of results have you seen? Casa Sandoval: At Casa Sandoval, we’ve seen drops in blood pressure, improvements in mood, improvements in energy, and much more as a result of regular exercise. Q: Do you have staff on hand to help with exercise? Casa Sandoval: Yes, Casa Sandoval residents can meet with exercise coaches who are trained to make accommodations for mobility and other senior-related issues. For more information about Casa Sandoval, visit online at casasandoval.com or call 510-727-1700. Peter Spittler Architectural Services, founded by Ohio architect Peter Spittler, focuses on providing clients with the highest quality services possible. The team at Peter Spittler Architectural Services believes in the importance of careful planning to get a job done well and offers the following information about programming services, the foundation for exemplary building and development projects. Q: What is architectural programming? Peter Spittler Architectural Services: To begin, programming lays the solid foundation for building design. Programming takes place before the actual design work happens and identifies the goals, objectives, and values of the client or builder, the facility users, and community impacted by the infrastructure. Programming promotes good planning early in the process and allows for a more smooth and successful project design and implementation. Q: What are the major components of programming? Peter Spittler Architectural Services: First, the Peter Spittler Architectural Services team will research the project type to get a good grasp on what is typical for projects of the proposed nature. They will look at everything from the common square footage of rooms to regional issues that need consideration. Our team will then work with the client to determine the goals and objectives of the proposed project. As the project progresses, we implement information gathering and research, identify strategies to achieve goals and objectives, compare budget to actual project needs and make adjustments, and finally, put the program in a finalized, written format. Q: Programming sounds like a lot of work for just one architect on the Peter Spittler Architectural Services team. Peter Spittler Architectural Services: You’re absolutely correct. While our team members are extremely efficient and talented, yes, it typically requires more than one person. Peter Spittler Architectural Services collaborates with programming committee members made up of the client/builder, building users, and project stakeholders and other outside experts when needed. Q: Why is programming important to builders? Peter Spittler Architectural Services: The programming process results in clear plans for design work that incorporates and anticipates future use, issues, and considerations. The final written program offers Peter Spittler Architectural Services clients a solid decision making tool as they move forward with design and building. As Peter Spittler Architectural Services explains to our clients, programming can save a lot of time, money and hassle in the future by avoiding re-designs and making future decisions easier. Q: What are some of the benefits of having Peter Spittler Architectural Services complete the programming phase? Peter Spittler Architectural Services: By having the Peter Spittler Architectural Services team lead the program development, clients will have an expert at the helm with experience in developing all types of buildings for myriad uses who is able to offer the best options for any program. Peter Spittler Architectural Services is located in the Cleveland/Akron area of Ohio. In 1989, Stephen R. Covey wrote The Seven Habits of Highly Effective People, a highly influential volume in the world of business management. The book has sold more than 25 million copies worldwide. Covey starts from the position of “abundance mindset,” fostering teamwork in an organization through the belief that there are enough resources to be able to collaborate and share success with others in the group. This is, says Covey, as opposed to a “scarcity mindset,” where there’s an unnecessary, destructive, stressful competition going on that can be counterproductive to the group’s goals. Be proactive – Take the reins for your own decisions and outcomes, and don’t wait for someone else. Remember that you’re the one accountable for your moves, for better or worse. Begin with the end in mind – In business, this long-game approach might involve creating a mission statement, to help keep your eyes on the goal and not just the short run. Put first things first – Prioritize your days, your weeks and your quarters, and stick with this priority schedule. Be mindful of whether your efforts get you closer to your goals and are in keeping with the first two Habits. Think win/win – Remember that a “win” for a group is a win for everyone, and is almost always going to play out as a better resolution than if one person alone is driving the decisions and insists on getting things his or her way. Seek first to understand, then to be understood – Keep your ears open and try to identify in an empathetic way with the challenges that others on your team are facing. This approach will help them be much more receptive to your own input. Synergize – Remember that the whole is greater than the sum of its parts, and teamwork should combine the strengths of everyone in your group. The result is a goal that no one person could do on his or her own. Sharpen the saw – Don’t let work overrun your life to the point of burnout. Balance your working life with whatever it takes to renew your physical and emotional energy, whether it’s prayer, meditation, exercise, good reading or service back to your community. While much of Covey’s gospel seems intuitive, but many managers and individuals don’t grasp it and have paid the price in performance and results. Presentation Solutions suggests our readers revisit this book, or read it for the first time. Nearly a quarter of a century later, it is still considered to be a touchstone for not only managers, but also people looking for self-help advice in their personal lives. Developer Scott Sohr lives in the greater Nashville, Tennessee area, where he has been an integral part of some major land development projects. The property acquisitions of Scott Sohr aren’t limited to the middle Tennessee area, however. The developer has properties throughout the Southeastern U.S. Among these are two properties in Knoxville, a city in East Tennessee known for both industry and the popular University of Tennessee. Knoxville is in a beautiful part of the country, Scott Sohr points out, with close proximity to the Smoky Mountains. Scott Sohr says that the area provides convenient access to a range of shops, restaurants, and other amenities, making it a great place to live. Scott Sohr and his partners most recently purchased property in the Farragut area just outside of Knoxville. As Scott Sohr explains, his firm acquired lots in a residential community called Cabot Ridge. The plans are to place homes on these lots within the next two years, says Scott Sohr. The subdivision is currently called Homes of Rockford Lane, which was originally planned as a full development. However, when the real estate market experienced troubles in 2008, development was halted with ten lots remaining. Scott Sohr believes his firm can complete development of the final ten lots quickly, thanks to a partnership with McCamy Construction, a local company that overlaps designing and building to save time. McCamy Construction is recognized for beautifully designed houses, so Scott Sohr and his team are excited about the partnership. According to Scott Sohr, the Homes of Rockford Lane will be similar in style to the adjacent Villas of Ridgepath Lane, but with smaller floor plans. Scott Sohr stresses that each floor plan will be over 2600 square feet with all of the luxuries homeowners expect in a Cabot Ridge home. The homes will feature stainless steel appliances and granite countertops, Scott Sohr describes, with open floor plans and hardwood floors. The Knoxville real estate market has been hit by hard times like the rest of the nation, Scott Sohr reports, although lately building permit requests in the area have increased—a sign things are beginning to improve. In fact, says Scott Sohr, the first Cabot Ridge home completed and sold already with another completing recently. Starting prices for the homes begin at $350,000. Scott Sohr is a Nashville-based developer with a breadth of experience in healthcare solutions and development. Currently, Scott Sohr owns an interest in several Nashville residential developments, including Courtside at Southern Woods and Arrington Retreat. Scott Sohr is also the co-founder of Health Cost Solutions, a third party provider of health insurance products for businesses seeking benefits for employees. HCS partners with some of the biggest names in healthcare, including BCBS of Arkansas, Healthcare Alliance, Inc., and Cigna. In addition to HCS, Scott Sohr holds ownership in Correct Care Solutions, a leading provider of health care services to the prison system. Scott Sohr is married with four children by his wife of 22 years, Lyn, who he credits with helping him remain focused on each of his ventures.